Looking for physical healing services that focus on your body recovering and healing naturally? If your previous medical treatments have been centered around pain medication or an invasive procedure, it is time for a change. At Advanced Medical of Twin Cities, we’re eager to create a personalized physical healing plan just for you. Depending on your need, we’ve got a wide range of holistic physical healing services that you can tap into. 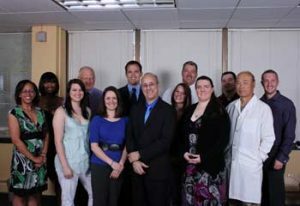 Conveniently located in Golden Valley, Minnesota, or staff will work with you to develop an individualized treatment plan designed to fit your life style. The overall health and alignment of your spine has a big impact on the rest of your body. Many of our patients come to Advanced Medical of Twin Cities because of our effective chiropractic treatment options. Using chiropractic adjustments and spinal manipulations, we’ll help to get your spine back into proper alignment. In turn, you’ll begin to experience the physical healing that you’ve been searching so hard for. An effective massage from our massage therapists at Advanced Medical of Twin Cities is more than just a time to relax. Massage therapy has been proven to provide multiple physical healing benefits including reducing muscle spasms and pain, boosting circulation, reducing body stress, and leveling out your nervous system. Depending on your physical healing needs, you can take advantage of our sports massage, Injury rehabilitation massage or therapeutic (pain relieving) massage. The practice of acupuncture dates back more than five thousand years. This type of Traditional Chinese Medicine is extremely effective when it comes to physical healing. In fact, it helps speed up the overall healing process as well. Using tiny needles, our acupuncturist will strategically place these needles in certain areas around your body depending on the pain you are experiencing. From there, you’ll begin to experience natural pain relief as well as effective physical healing. Acupuncture is effective in providing physical healing for a variety of conditions including back and shoulder pain, swelling, carpal tunnel syndrome, fibromyalgia, whiplash, arthritis, sports injuries and many more. We’re here to tell you that the misconception that acupuncture treatment hurts is not at all true. These tiny needles used are not painful. When you stop by Advanced Medical of Twin Cities for your initial evaluation, we’ll sit down to get a better understanding of the pain or injury that you are dealing with. From there, we’ll incorporate our physical healing services to develop a personalized medical treatment plan. To learn more about our natural medicine treatment options, give us a call today at (763) 541-1280.